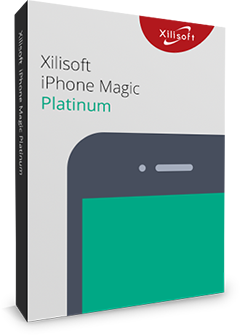 Serving all Windows Mobile devices, Xilisoft Windows Mobile Ringtone Maker owns great capability of making MP3 ringtone from other media files as your Windows Mobile device ringtone. Besides converting nearly all video/audio formats including AVI, MPEG, WMV, DivX, MP4, H.264/AVC, AVCHD, MKV, RM, MOV, XviD, 3GP, WMA, WAV, RA, M4A to MP3 ringtone, this ringtone converter can help you transfer MP3 ringtone to your Windows Mobile device directly after making ringtone according to your own need. Make ringtone for Windows Mobile device from music fileSupporting a large number of music formats like WMA, WAV, M4A, etc., this ringtone creator for Windows Mobile device can turn any music file to ringtone in MP3 format. Convert video to MP3 ringtone for Windows Mobile deviceNow with this ringtone converter, you can extract the amazing background music from the video and convert it to MP3 as Windows Mobile ringtone. 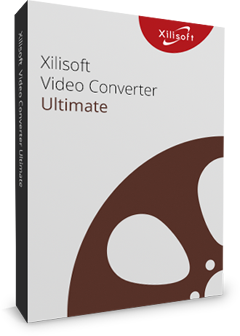 Any video formats are supported: AVI, MPEG, WMV, DivX, MP4, H.264/AVC, AVCHD, MKV, RM, MOV, XviD, 3GP, etc. 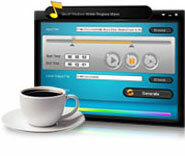 All sorts of Windows Mobile devices supportedThis great MP3 ringtone maker supports all sorts of Windows Mobile devices. Now, start to make ringtone for your device and hear the ringtone you love when there's a call! Transfer ringtone to Windows Mobile device directlyThis ringtone maker is capable of transferring converted ringtone to your Windows Mobile device automatically after making ringtone. Set ringtones for your acquaintances, and recognize who is calling when your phone rings! Get music segment as ringtoneIf you only love a segment in a movie or music file, just get the segment you want by drag and drop or setting start time and duration, and convert it to ringtone for your Windows Mobile device. With the built-in music player, you can listen to the loaded or trimmed file before conversion to see whether it's the one you want to hear when someone calls you. 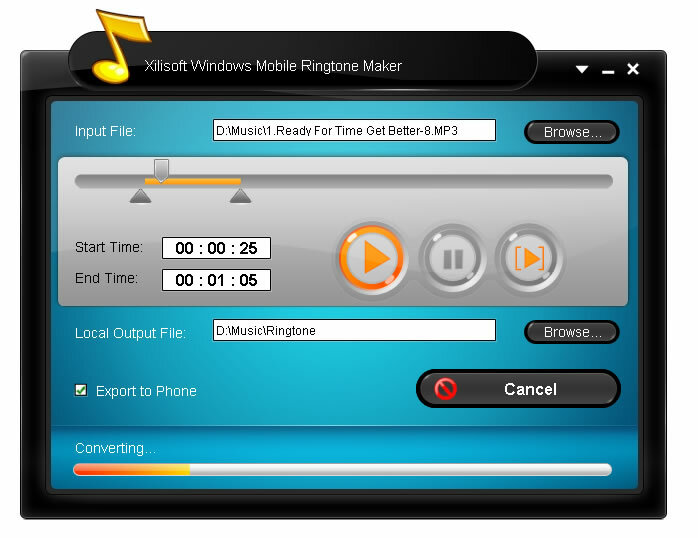 Make MP3 ringtone in two stepsMaking ringtone from any video/music file with Xilisoft Windows Mobile Ringtone Maker can be done in just two steps: add a file and then click to convert it!